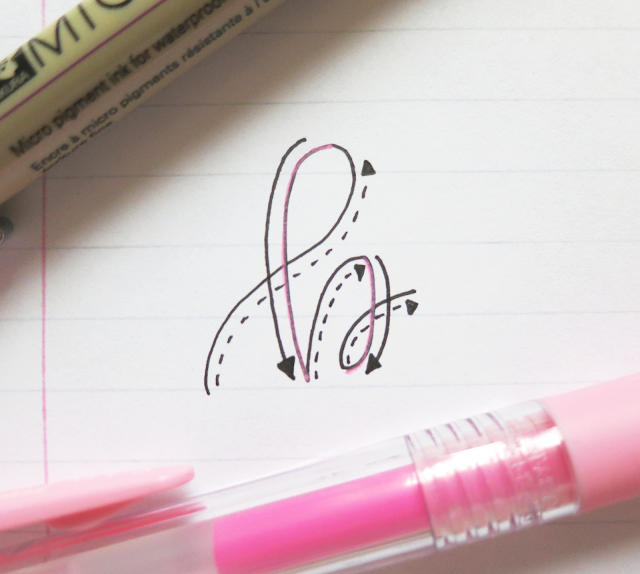 Let's say that you've just started to learn calligraphy and hand-lettering. That's great! However, it can be pretty intimidating to use a brush pen or pointed nib when you've only just begun to learn. Thus, faux calligraphy - aka fake calligraphy - is a great way to introduce yourself to the world of lettering. 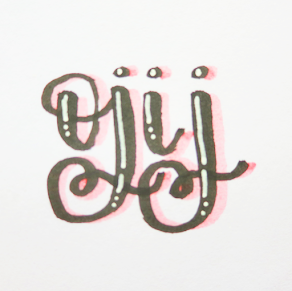 [cue terrible segue:] But how, you may ask, does one create faux calligraphy? Well, this post, in a ~convenient~ step-by-step format, is just the thing for you! Read on! 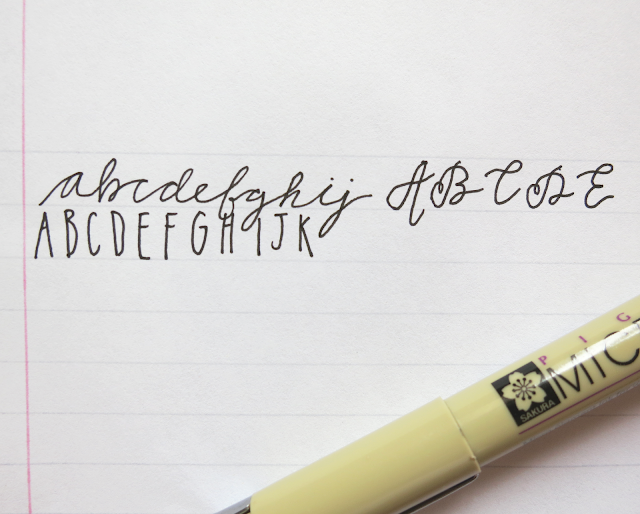 Well, just practice your letters in general, whether they be in cursive or print. Faux calligraphy can be done with both types of writing, but for the ease of consistency in this post, I'm just going to refer to cursive. Anyway, touch up on all of your letters. 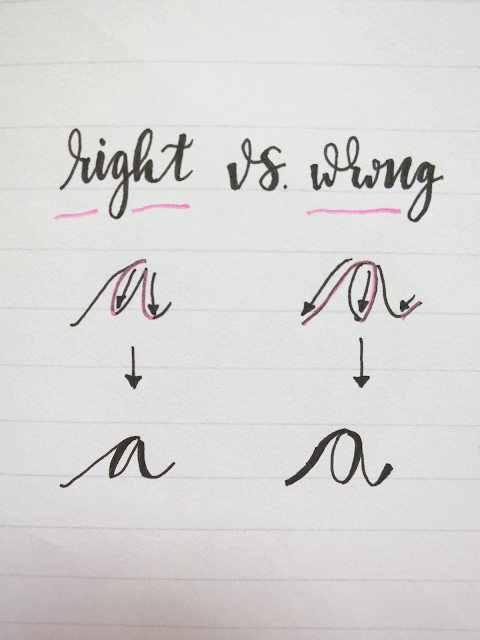 However, keep in mind that the way you write when doing calligraphy will be very different from your general, everyday handwriting. 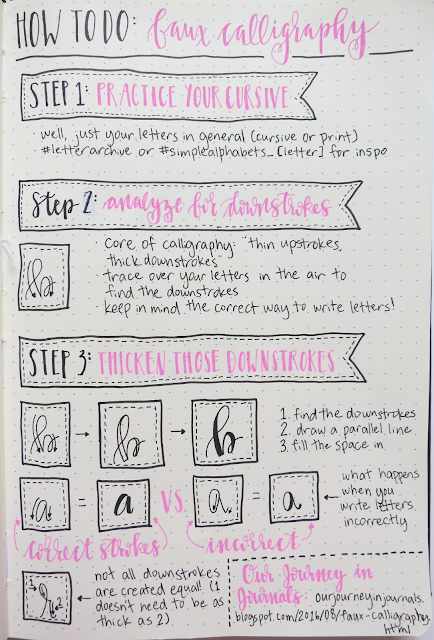 Just write however you think looks pretty, and it only matters if you like the way it looks; after all, lettering is a form of art! If you want some inspiration for specific letters, I suggest looking through #letterarchive on Instagram. For the Letter Archive, you can go through the hashtag "#letterarchive_[letter]" to find the particular one you're looking for. Another good resource is "#simplealphabets_[letter]," also on Instagram. And of course, you should learn how to connect letters in words, not just how to write individual ones. You can figure this out by trial or error, but I also like looking at other people's work for inspiration. My two favorite hashtags for this on Instagram are #moderncalligraphy and #handlettering. 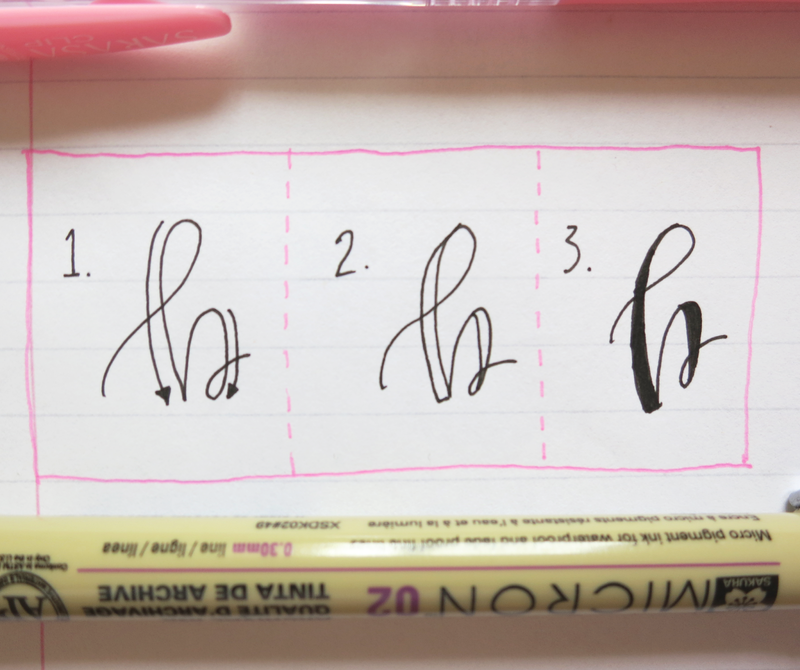 After you've mastered the art of individual letters, move on to step 1.5 in this faux calligraphy process: actually write out the word(s) that you want to letter. I suggest spacing out all of the strokes a little wider than you think you need to in order to leave space for the later thickening. After that, you're ready for step 2. If you look closely at other people's lettering, you can see that the very core of calligraphy is "thin upstrokes, thick downstrokes." Downstrokes, as you can probably garner from the name, are the lines that you go down on. And of course, upstrokes are the ones that you go up on. Look at your letters, and trace over them in the air and in the same way you wrote them to see which strokes you went down on. Make sure to keep in mind the correct way to write letters, as this can severely affect your calligraphy and turn it into some monstrosity if you thicken the incorrect downstrokes. Refer to the picture down below to see an example of this. As stated earlier, the central dogma of calligraphy are the thick downstrokes. For basic faux calligraphy, just go straight to the side of the downstroke (in my opinion, this makes it look more similar to actual pointed pen calligraphy), draw a line parallel to the original stroke, and then fill it in. If the letter is small (or if you're feeling lazy), you can just go over the line several times, but a little bit to the side, in order to thicken it. However, all of this can be easier said than done. Like I said earlier, make sure that you're writing the letters correctly so that the downstrokes are the right ones. Additionally, some downstrokes don't actually need to be thickened as much or need to be thickened at all. For example, the loop in cursive lowercase "o's" doesn't really need to be thickened, and when you have fancy loop-de-loops or flourishes, they're really doesn't need to be any sort of line width variance at all (and it can end up looking gross if there's an overabundance of it). 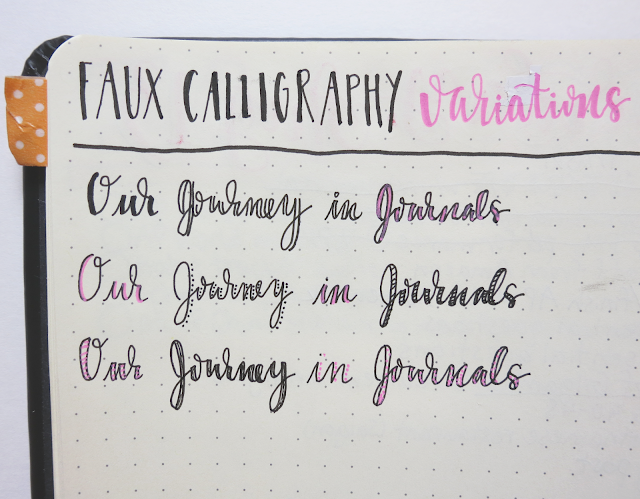 If you want to add some pizzazz to your faux calligraphy, there are a lot of variations you can do. I've showcased several of them in the picture underneath. I hope you enjoyed this tutorial and found it helpful! If you have any sort of question, concern, etc., just leave a comment down below. And another bonus tip: for a fun drinking game, take a shot every time you come across the word "downstrokes." 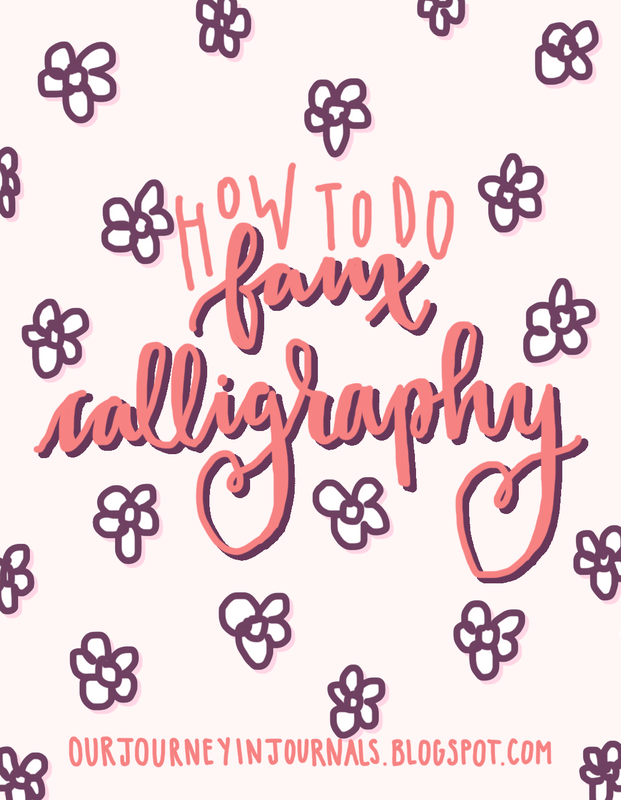 Comment down below your experience with learning calligraphy/hand-lettering, and share links to your works! I would love to see them! Visit by clicking here for computer tips. This is a blog about diary casual breakfast and I think this is a fundamental blog. this is basic remarkably for the click here understudies and for some different people also. I am feeling marvelous by scrutinizing of this blog so I should share it in electronic long range interpersonal communication. This is the post of IMG Friendly Residency Programs, USMLE and Residency Tips and Tricks. This is an informative post. Thanks for the post. website that will give you a clear idea about the writing services. Well, after reading your precious article I came to know that how education is important for the young souls. Source cheap essay writing services makes better characters and decent personalities for the future. It makes them to be ready for the hardships of life. It makes strong to face challenges and tackle with them. Great news. Is this really possible? I don't know. but If it possible then it make a good result. And also very impressive. Many many thanks for it. Incredible post! It is a decent open door for the graduate understudies to endeavor our exam and I took in numerous thoughts from that post. You can explore more to get more plans to endeavor the exam. Good blog post, Both on the web and on grounds satisfy your prerequisite of getting training. Be that as it may, on grounds training is better then online instruction since you may confront more issues in here than on grounds instruction. Hand written notes are liking by many people who love calligraphy. This is an art which is praiseable and only here you can see it's examples. You can also hire person for the best services.